Grace Hall is a multi purpose special events facility serving the Donavan and the Greater City of Sudbury. Housing a fully equipped kitchen, a great sound system and a caring and loving staff to help meet all your event needs, why book anywhere else? Hurry to book your event now! Grace Hall is located in the church on Burton. 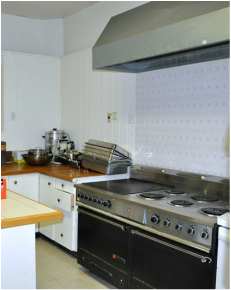 This facility seats 260 people and has a fully working kitchen with an industrial dishwasher and oven. This facility also has a great sound system with multimedia projector and screen. 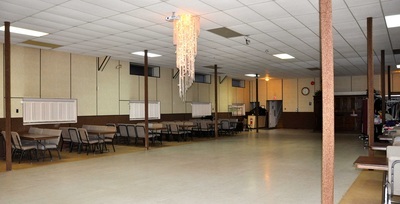 This hall not only meets your party needs but is also great for any business meetings. So if you're looking for an all in one location, or just a place to share your special moment, or business meeting don't hesitate to contact us or book now online.